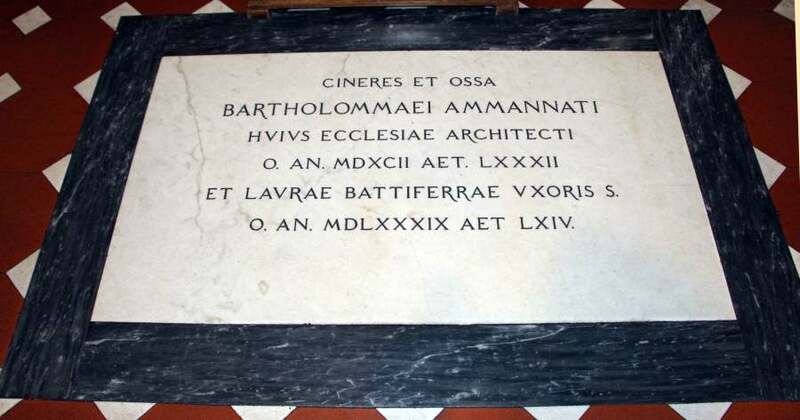 "Ammannati succeeds in transmitting impulses essential for the elaboration of a very original Renaissance language"
Exponent of the Italian “Bella Maniera”, he was one of the most important sculptors, architects and essayists of his century, the 16th. 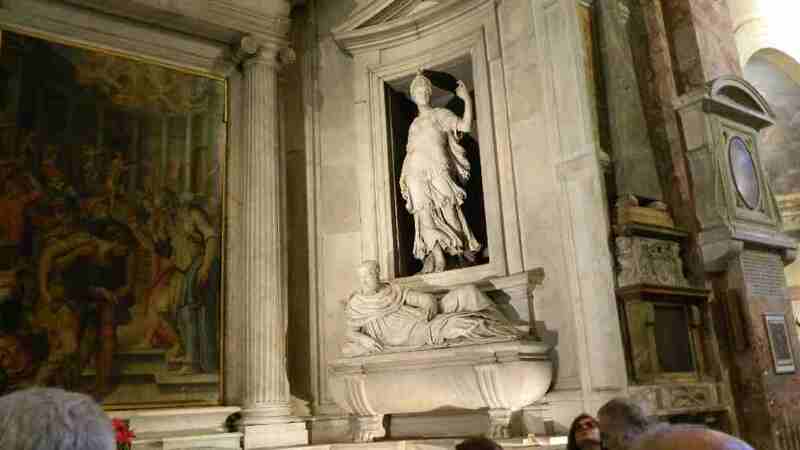 He trained at Baccio Bandinelli’s workshop in Florence, starting in 1523 at the age of 12. The works of this first period have almost all been lost, among which a relief featuring God the Father and Angels for the Duomo in Pisa and a Leda for Guidobaldo II Della Rovere. 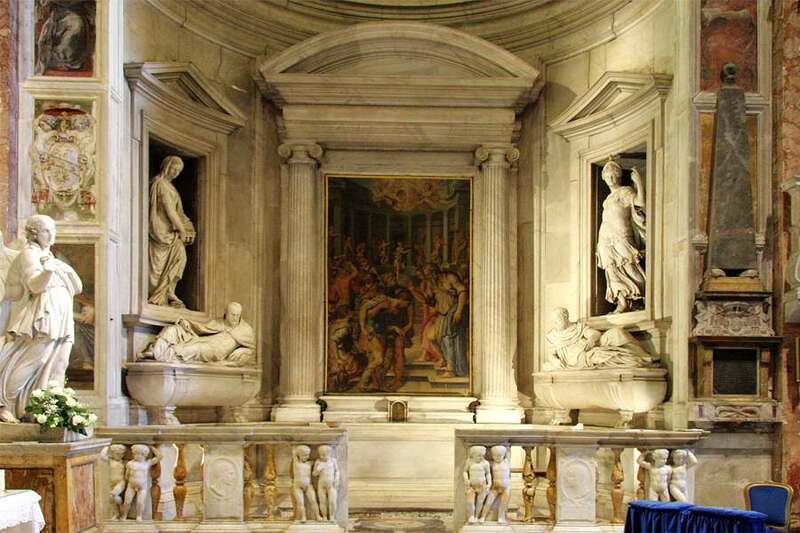 The figures of San Nazarius, David and Judith, the latter two resembling Apollo and Minerva, sculpted for the tomb of Jacopo Sannazaro in the church of Santa Maria del Parto in Mergellina (Naples), remain. In Venice, he collaborated with Jacopo Sansovino in decorating the National Library of St. Mark’s by creating a Neptune. 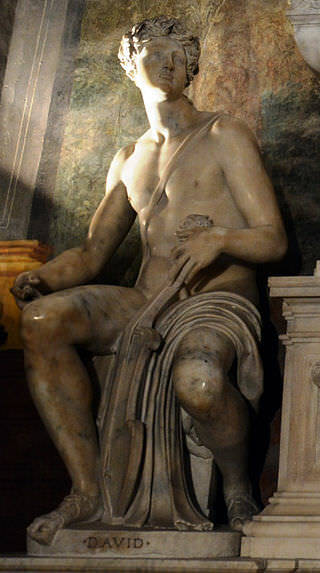 In 1544 became the protégé of Marco Mantua Benavides and sculpted a Hercules, a Jupiter and an Apollo for his palazzo in Padova. 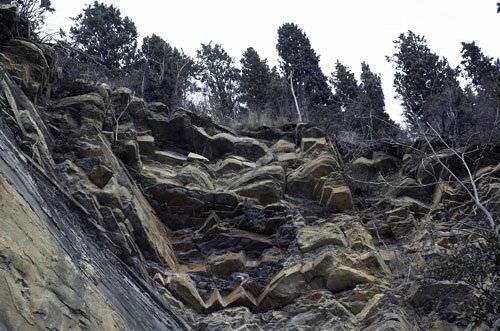 The works are still located there in their niches. 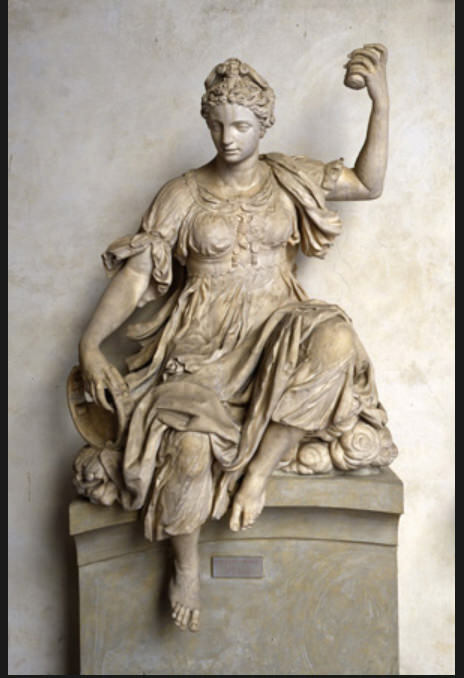 In 1550 he moved to Rome, at the court of Julius III, for whom he created the sculpture decors of the Chapel of Antonio and Fabiano Del Monte in San Pietro in Montorio, with the allegories of Justice and Religion. He worked on several projects for the Pope and tried his hand at architecture, above all at Villa Giulia, overseeing the works of the Nymphaeum and of a portion of the villa’s second courtyard. Upon the Pope’s death in 1555, he returned to Florence upon invitation by Giorgio Vasari and was received at the court of Cosimo I de’ Medici. Here, he was entrusted with creating a large fountain for the Salone dei Cinquecento at Palazzo Vecchio. 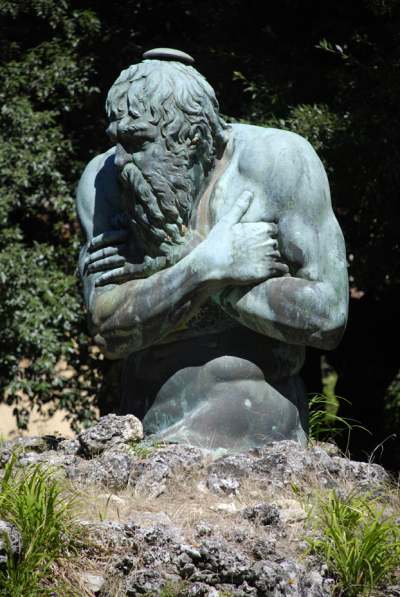 The work, called “Juno”, was instead placed in the Park of Pratolino. 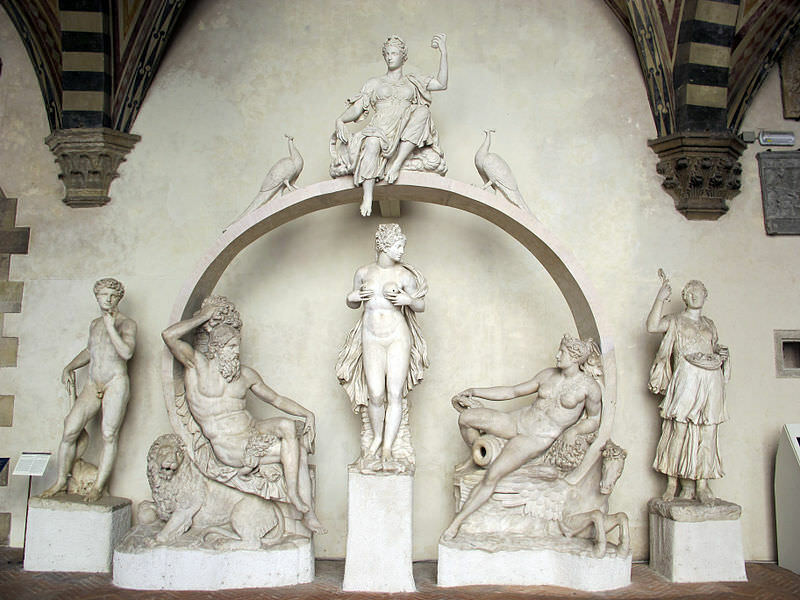 The sculpture decoration is comprised of the allegorical figures of the Arno River, the Spring of Parnassus, Florence, Temperance, and the Earth, sculpted between 1555 and 1561 and just recently placed in the Bargello courtyard. 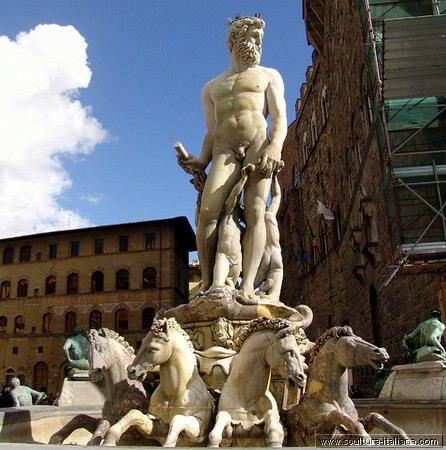 In 1559, he participated in a contest for the creation of a fountain in Piazza della Signoria, winning it with his renowned Neptune in Carrara marble, inaugurated in 1577 and bitterly criticised by some of his contemporaries – who re-named it “Il Biancone” (the white giant). 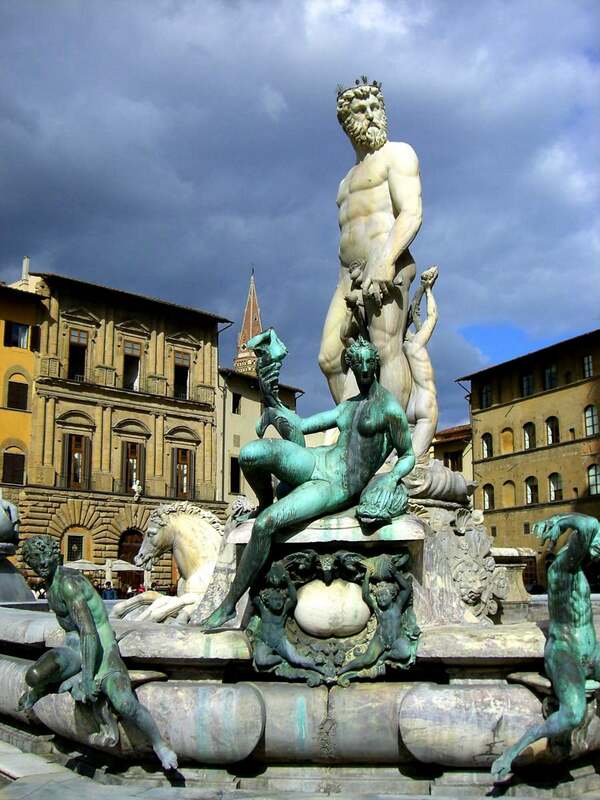 The composition is comprised of the colossal Neptune, Tritons at his feet, whose face resembles Cosimo I de’ Medici and is meant to recall Florence’s dominion over the sea. Around the octagonal fountain, the prancing horses of the god’s chariot and the mythical figures of Nereids, Scylla and Charybdis and other minor divinities. 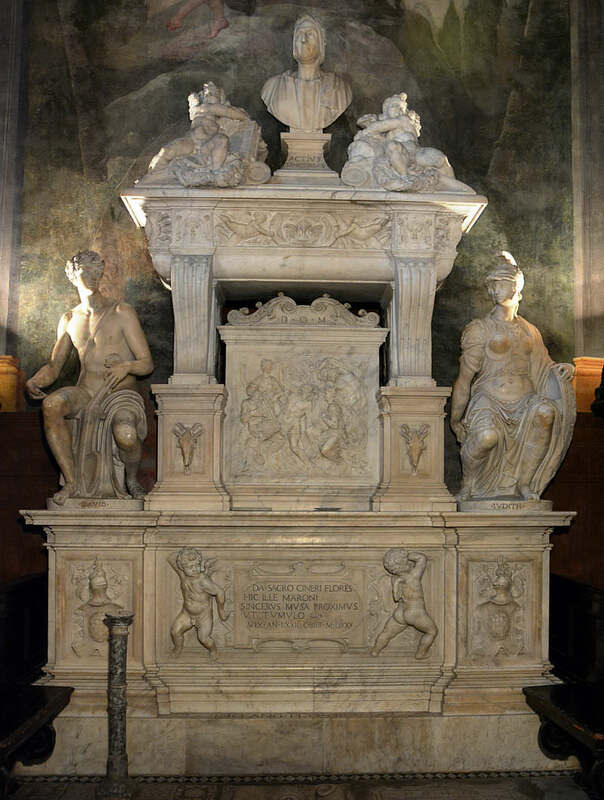 Despite the critiques that invested this masterpiece of his, he continued sculpting, creating the decors for the Medici Villa in Castello, Florence, among which his famous Apennine. 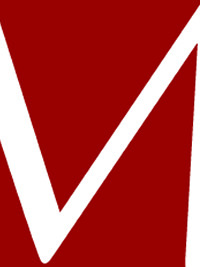 In 1563 he was designated a member of the “Academy and Company of the Arts”, strongly championed by Cosimo I. He concentrated on architecture in wide-ranging projects such as the expansion of Palazzo Pitti, between 1560 and 1577. In 1577 he began reconstruction work on Lucca’s Palazzo Ducale: in particular, he worked on the project for the Loggia, that today is a majestic gallery dominating Piazza Napoleone. On the ground floor is a central portal flanked by rustic bosses in Guamo stone, with different kinds of decorative elements on its sides. On the first floor, three Palladian windows alternated by arched windows. Inside, the bright open gallery with five Palladian windows overlaps with the corresponding five arched windows below. The brackets located between the arches are typical of the mannerist taste for fantastic, often monstrous, forms. He worked on several other projects of important palazzos for the reigning family and for Florentine nobles. His is the project of the Medici Palazzo in Seravezza, built between 1560 and 1564, which gave a great spur for new quarrying activities. Until his death in 1592 due to an increasingly debilitating paralysis, he focused above all on his activity as architect.